If you want a high-quality college prep course that won’t break the bank, the College of Extended and Global Education at California State University, San Bernardino can help. Our SAT Preparation Course is a fraction of the cost of others, with the same proven results. Courses are offered at the San Bernardino and Palm Desert campuses. 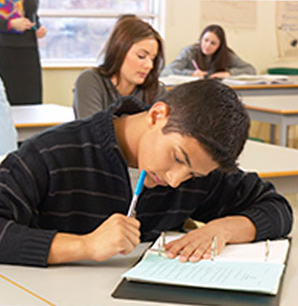 This two-day workshop has been re-designed to prepare you for the SAT Test. Be confident, comfortable and prepared to do your best!